Badminton is growing at Newington and is great for agility and fitness. Badminton was introduced at Newington in the 2014 Winter Season and already numbers show the sport is here to stay. At this stage in its development only students from Year 9 onwards can enrol in Badminton. The Junior Club next winter will train on Mondays and Wednesdays after school and the training for the Senior Club will be held on Tuesdays and Thursdays. The boys will then be seeded into divisional teams and play against each other on Saturday mornings. As Badminton continues to grow as a sport in Sydney, it is hoped that it will become a GPS sport in coming years. There were 36 boys from Year 9–12 involved in Badminton in 2016. 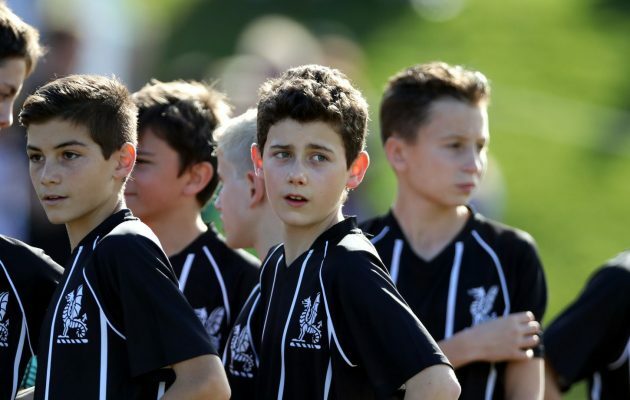 Now in its third year, the boys practiced in two training groups, Junior Club on Mondays and Wednesdays and Senior Club on Tuesdays and Thursdays. During the year there were three seeded sessions on Saturday mornings with increased court time for each of these groups. From week to week boys were challenged by rankings and they moved up and down the ladder according to wins and losses. All divisions were competitive which helped to increase motivation and improve skills and fitness. It is hoped that Badminton will become a AAGPS sport in coming years as it continues to grow as a sport in Sydney. The boys were led by staff coaches Mr Ben Williams and Mr Peter Ellis. Many players saw dramatic improvement throughout the season and have enjoyed internal competitions on Saturdays.